The sun rose early in the morning, it was a clear sky and very quiet although occasionally one could hear a rifle shot. Italian heavy artillery had not yet started firing because both sides were enjoying breakfast. Unknown to the Italians, behind hill “Costa Alta” within Austrian defence lines (at Millegrobbe) a small group of Austrian soldiers and officers were very busy. Mortar battery stopped in Trento on the way to Lavarone . With the help of many volunteers, heavy shells were being moved, and powder cans loaded. Two Austrian observation officers were looking at topographical maps while communi cat ing on a field telephone. One officer raised his head…. heavy winds were coming from the South. 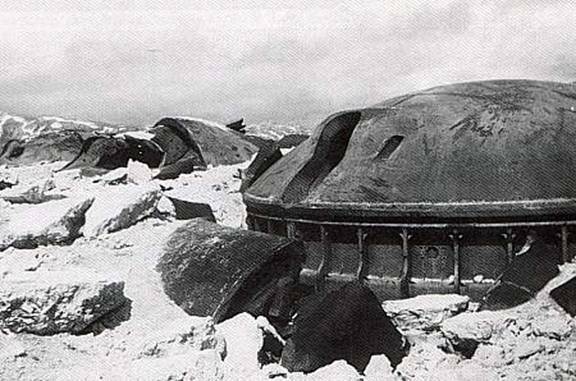 He looked at his trajectory tables and thought …”it’ll be difficult but we’ll do our best”..
At the same time, two Italian officers in the observation turret of Fort Verena were getting bored, not much was happening. 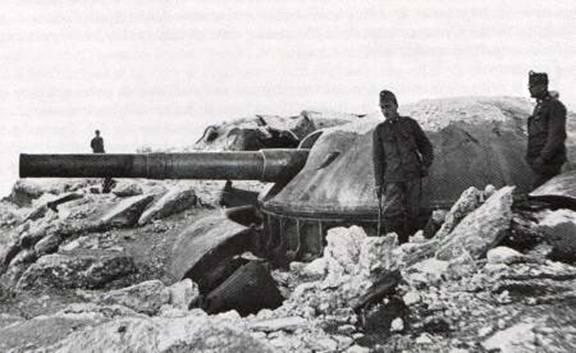 Every day, hundreds sometimes over a thousand, medium and heavy shells bombarded Austrian fortifi cat ions, yet the forts couldn’t be destroyed. When Italian infantry attacked, it seemed like every hole in the mountain opened up a mouth fire! There was little if any territorial gain, and the losses in human life were staggering. 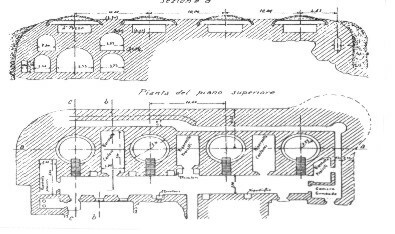 In his binoculars, an officer viewed the heavy destruction inflicted on the Austrian forts, almost all of Luserna’s gun turrets were destroyed………only one of the four appeared to be operational. From the other side something was coming over, there was a deep roar in the air, seconds later, the sound changed into a high whistling……. There was no time to ask ,no time to discuss.no time for explanation. 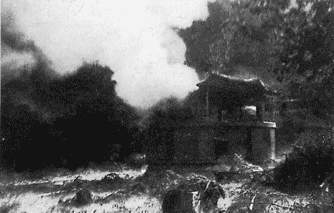 Suddenly, there was a tremendous explosion in front of Fort Verena , it shuttered like being in an earthquake. Flying rocks, stones, a fiery heat blast followed by rising smoke made one of the officers cry to heaven. It was an incredible blast and the first time either of the officers had seen anything like it. The first shot fell short. The Austrians busied themselves making elevation adjustments. Soon a second M11 was sighted in and fired. Once again, the mountains amplified a sound like a huge hornet buzzing its way to Fort Verena . Seconds later, the shell impacted behind the fort……..too far! On both sides soldiers were raising their heads from the trenches. This was a new sound, never heard before! And now it was becoming regular, every three or four minutes! One hit against Fort Campolongo then another to Fort Verena . 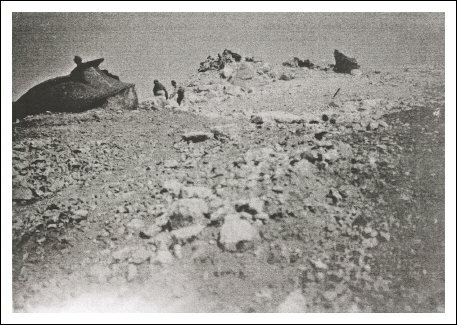 The two Italian Forts were 5 Km from each other yet the impact of the shells was easy to observe.. They came closer and closer………..
Forty men died instantly together with their commander captain Umberto Trucchetti, (2/3 of the squad died in less than a second! 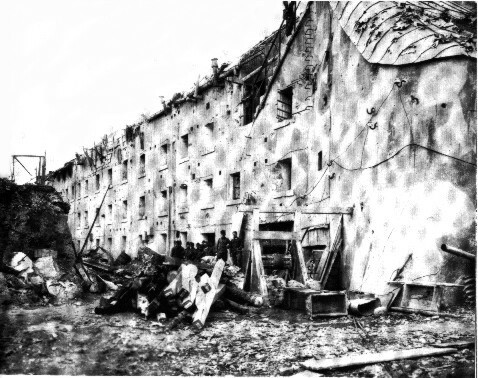 ), Ammunition started to explode in the casemates almost blowing the fort in half!! Survivors were fleeing in shock. 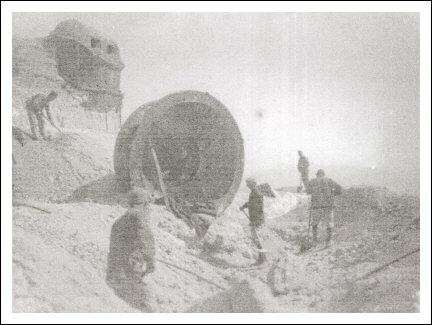 Austrian pioneers disarmed Fort Verena , in the back is the central gun turret hit by a M11 heavy shell and completely destroyed. 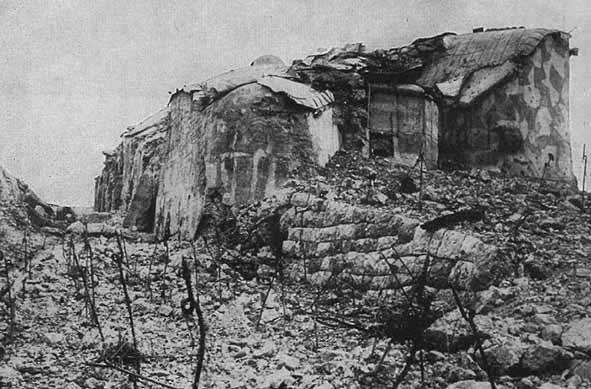 Italian Fort Campolongo , the turrets were blown out, hit directly by M11 shells. On both sides soldiers were climbing out of their trenches, no one was even thinking about shooting…. everyone was still in shock. On the hill of Costa Alta the two Austrian officers were smiling, and thinking “job well done”. The mortar being perfectly adjusted, it was time for a coffee break!.. 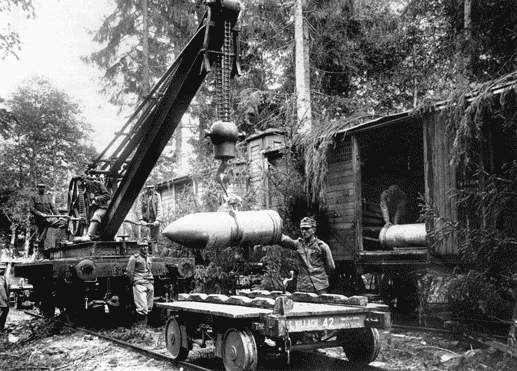 Over at Millegrobbe the squad of mortar No.1 were still busy working, (shell weight was 384 kilos). Same thing for the squad of mortar No.2 lo cat ed nearby at Vezzena, and firing against Italian Fort Campolongo . For them, there wasn’t time for coffee!. 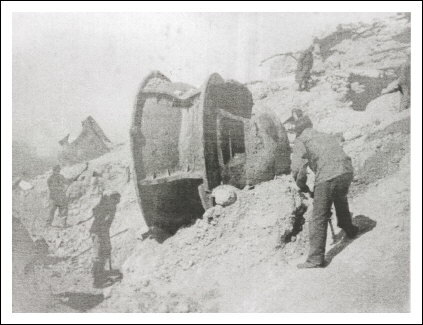 An Italian squad of volunteers comanded by an unknown officer caught hold of their senses and quickly armed the two remaining turrets of Fort Verena . They opened a heavy and wild fire against the presumed positions of the unknown guns but with no effect. 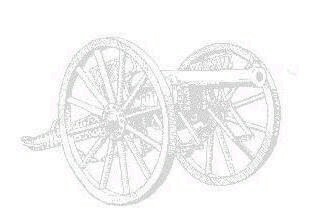 The long range cannons of Fort Verena were not able to hit the mortar positions. The Austrians strategically lo cat ed them in places that couldn’t be reached by cannon fire. The Italians needed mortars or howitzers but didn’t have any. 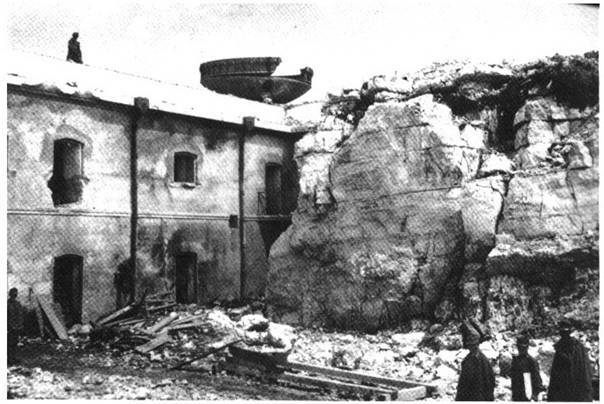 The Austrian mortars continued with their systematic destruction of the Italian forts. 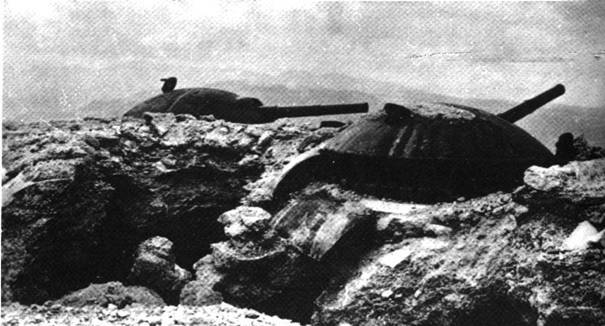 With the M11’s sighted in, Forts Verena and Campolongo were hit every time. Quickly, the squad of Fort Campolongo started to disassemble the remaining intact 149G Guns from the turrets, then back to the trenches for cover! In half a day both forts were silenced forever never again to be rearmed. (Prior to this, Fort Campolongo was still under construction and the turrets weren’t installed. 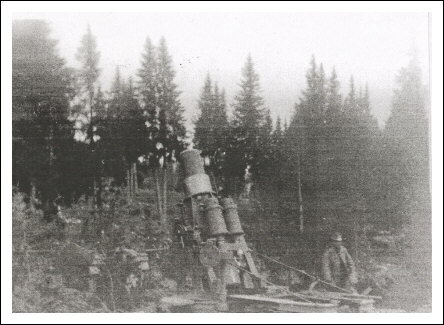 were used as target practice for the second Austrian mortar M11 Battery. On the same day, fire was directed against Italian artillery positions, Most were destroyed or heavily damaged in a very short time. Italian commanders were totally caught off guard by the Austrian mortar batteries and it’s precision fire. 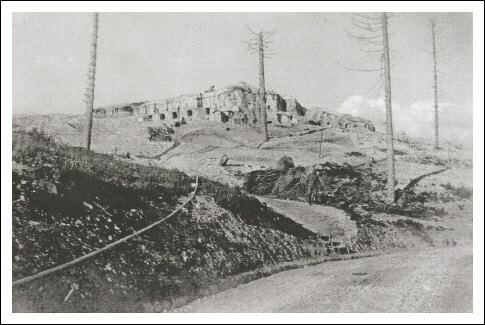 The entire fortifi cat ion belt of sector 3 ,section of Asiago –line Agno/Assa was completely destroyed with heavy losses of men and material by only four 30,5cm/M11 mortars!!. Unfortunately the concrete was weak because it was mixed with large stones and rocks and any heavy shells especially the M11’s could easily penetrate it. 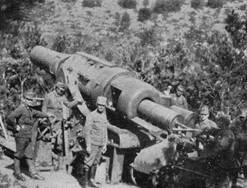 Italian forts with their 149G cannons couldn´t hit Austrian mortar positions behind the hills, it was a strategic error to arm these forts with cannons instead of howitzers. 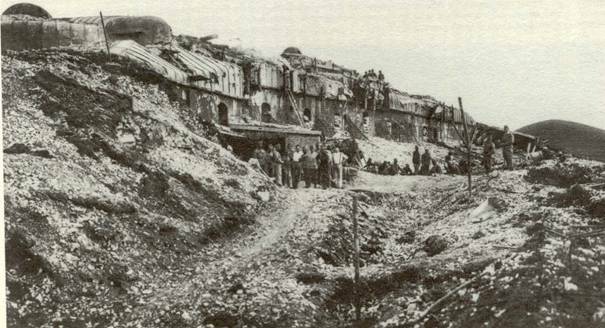 During 1915 and spring 1916 all Austrian forts were repaired and reinforced with better concrete roofs, now up to 5 m of thick. New armament and heavy turrets arrived but they were still fitted with 100mm howitzers. 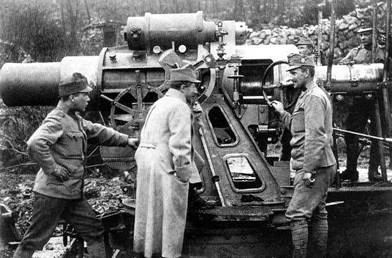 The Italians started building new mobile field artillery positions. 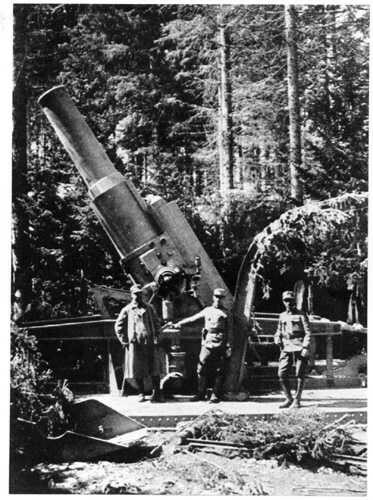 Until May 1916 artillery duells between both sides continued, until the big Austrian offensive, called the “Strafexpedition” or “punishment expedition”. The offensive rolled off the entire Italian line and brought Austrians from the mountains down to Asiago, where they were finally stopped by Italian defenders. Austrian logistics were too poor to advance and German reinforcements had not arrived. During the May 1916 campaign Austrians had a few new surprises. 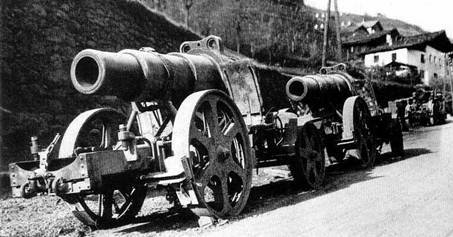 To assist the mortars they brought the “Barbara”,a 380mm Howitzer and “Gudrun” a 420mm Howitzer. The weapons were mobile and transported by a Porsche Road tractor. They were lo cat ed nearby the M11 positions at Millegrobbe and Vezzena. “Gudrun´s” position was Malga Laghetto and with her heavy shells finished off Fort Campomolon and it’s artillery positions in a short time. 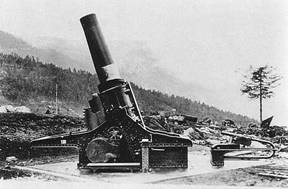 “Barbara” and the M11-Mortars supported the attack against Italian lines at Mount Verena and Mount Campolongo . Within one day all Italian defence positions were completely destroyed, Austrians advanced with small losses and captured all Italian Forts and positions. The Italian front broke completely and everyone retreated to Asiago. The Italians never recaptured their Forts, only when an armistice was signed November 3rd 1918 did Austrian troops leave the positions. 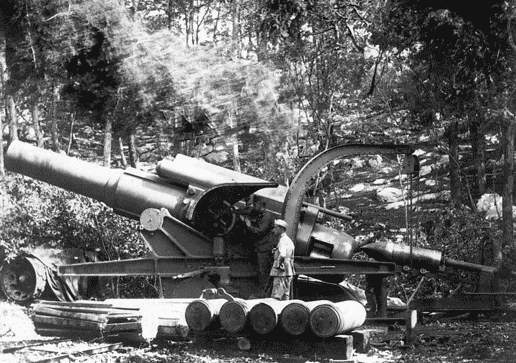 Nearby all Forts were lo cat ed other batteries of medium and heavy calibers up to 280mm.